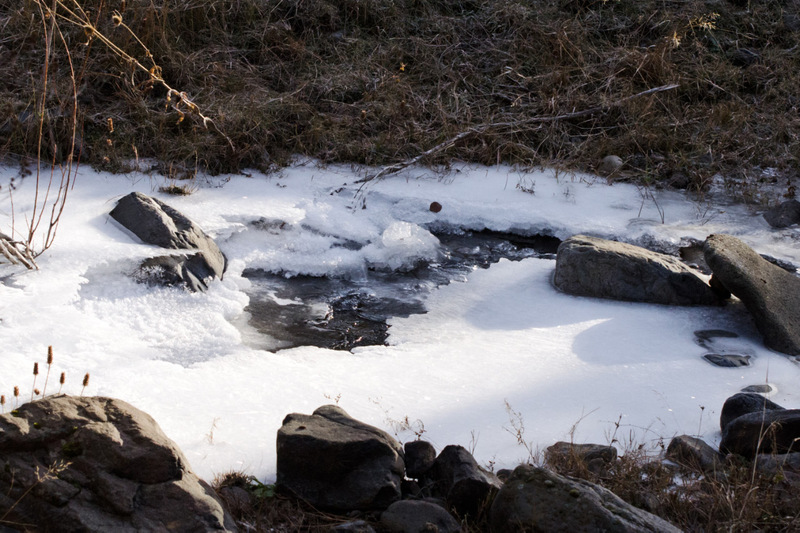 Cold it was, but the promise of scenic vistas and wild game was irresistible. 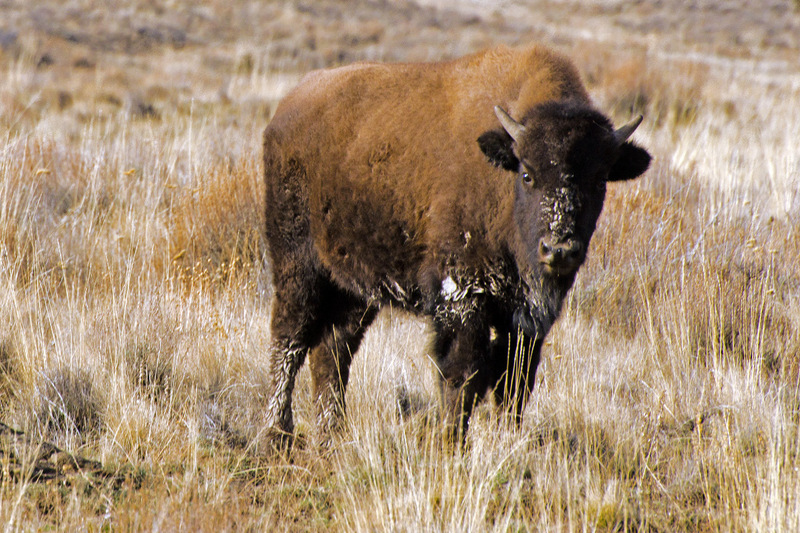 Bison, antelope, cattle and red-tail hawks kept my interest. 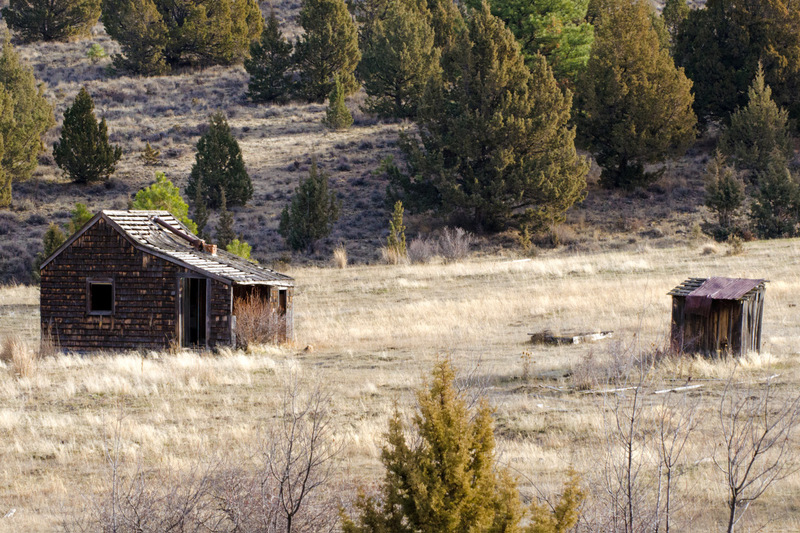 Old homesteads were reminders of the tough life on the John Day expanses. Before dropping into Mitchell it was 48 degrees. Soon it would be a crisp chilly 32 degrees on the valley floor. 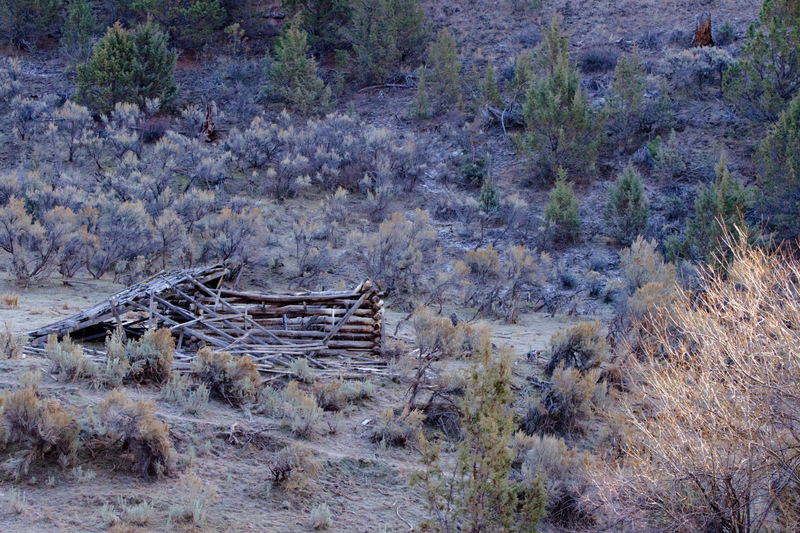 Is the little structure downwind from the cabin? Thanks Jason. And, for me, Robert Redford’s best acting role was as the star of Jeremiah Johnson. The 1972 movie is worth watching for the scenery alone. I love the old cabin and the hawk. 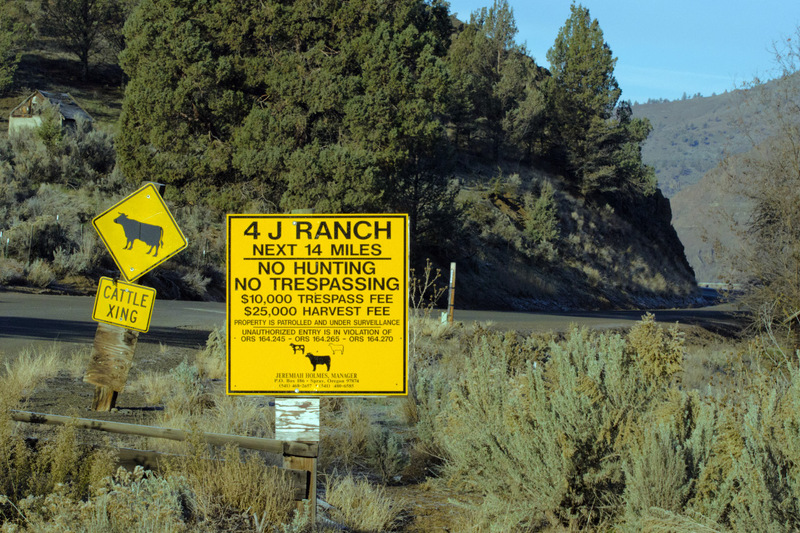 It looks like the antelope are on the right side of that fence–is that the 4J ranch they are sitting on? 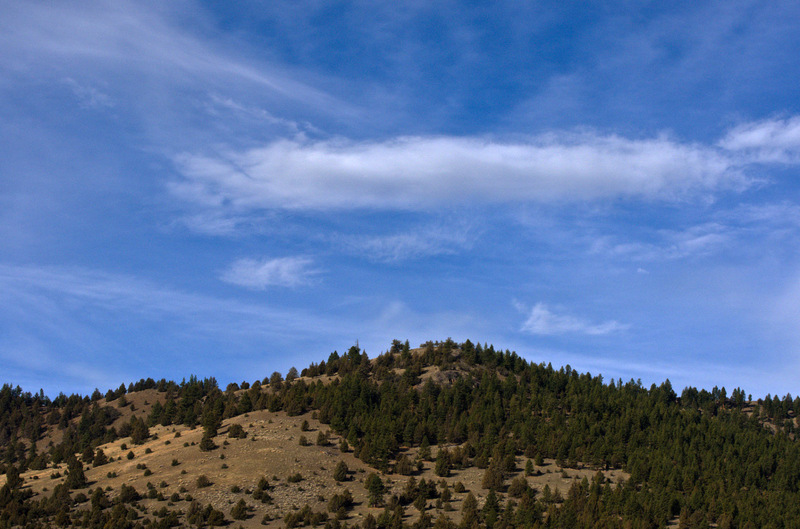 I took the photos near the road that runs south of Spray to Highway 26 east of Mitchell. It’s a very picturesque route. You should visit the area in the spring when the wildflowers are in bloom. 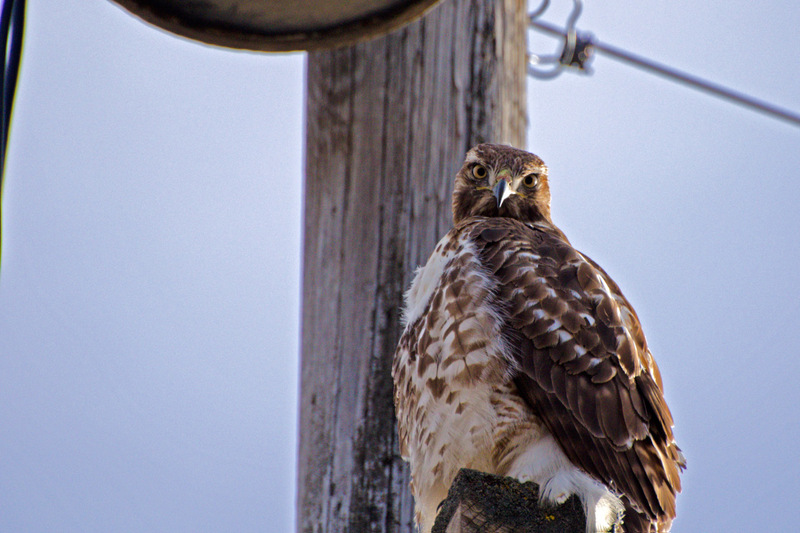 Why the hawk let me get as close as it did, I can’t quite figure out. Unless it was so cold that it did not want to fly. 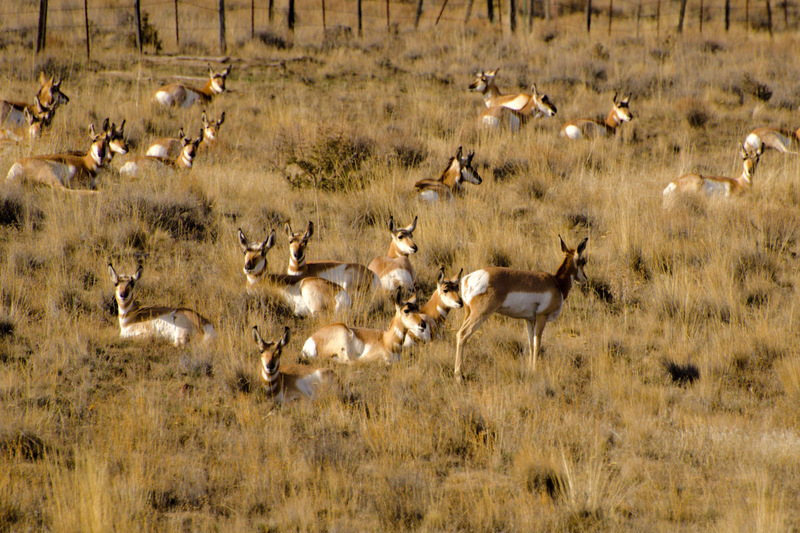 Regarding the antelope, I believe they were on a ranch south of the 4J. Although, it’s sad to acknowledge how much of the land is posted these days.